Many factors contributed to the delayed launch of Commercial television in North America. Certainly, the Great Depression was a contributing factor. Television was an expensive novelty, not something the average person could afford. As well, Television was as yet under publicized and not widely understood in ways that would encourage people to buy receivers. This was one of the problems that RCA wished to tackle leading up to the 1939 World’s Fair. But the most significant delay was caused by the bitter patent wars between RCA, Farnsworth and other competitors. 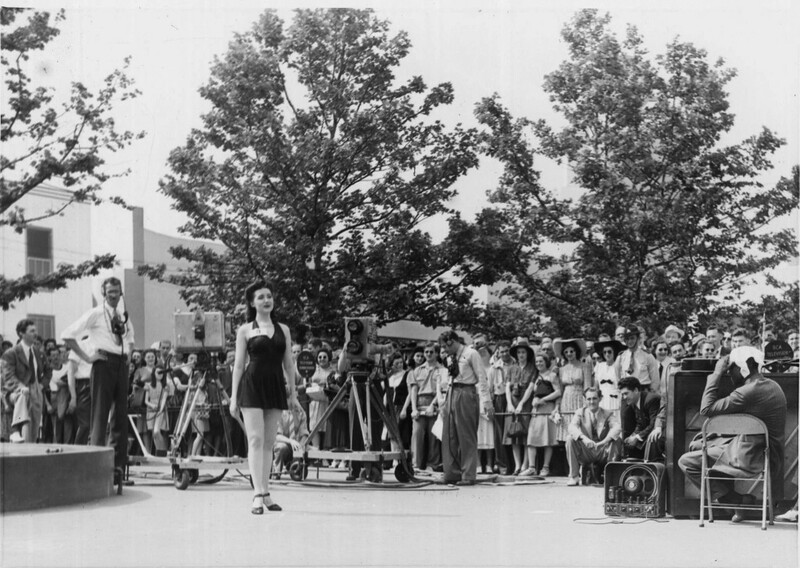 Finally, after the paten wars ended, a bruised by determined RCA, led by David Sarnoff, launched Commercial Television at the 1939 World’s Fair. The FCC could not stop RCA from announcing the “Birth of an Industry” and was forced to accelerate its decision on an official standard of broadcasting. The official authorized launch of Commercial Television in the US would have to wait two more years for the FCC to approve the NTSC standard (525 lines snd 30 frames per second) and officially authorize Commercial Television to begin on July 1, 1941.